New York Center For Healing (New York) - Book Appointment Online! At New York Center For Healing, we approach each of our patients as an unique human being that needs individualized care. We empower our patients to see their health issues as a road to wellness. Our medical providers treat symptoms of complaint and address the underlying causes with compassion and wisdom. 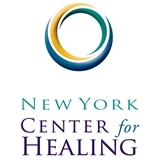 New York Center For Healing was founded by Jean Menges in 2009 in Midtown Manhattan, New York City. Jean is a nationally board Licensed Acupuncturist, avid researcher and a mother of two, who has combined 25 years of experience in western and alternative medicine. Doctor Monegro was patient and thorough with my many physical needs ! Overall, I am very happy with her services. Susan is a great acupunctrist! She is extremely attentive, and caring and acknowledges all of your concerns. She always ensures that you feel good throughout the whole appointment and neve in any pain. I highly recommend Susan for any accupuncture needs.